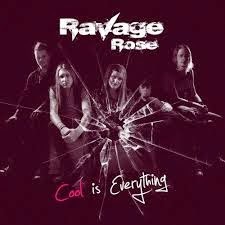 Actually released on the band's own label back in mid-April, the single "Cool Is Everything" is the debut release from Norway's Ravage Rose. With a cool moniker you obviously need to have a cool sound and Ravage Rose (fronted by Miriam Labreche) seems to have that down pat! With influences that touch upon pop rock, classic rock and heavy metal, resulting in the band's blissful hard pop sound on "Cool Is Everything", the five-piece Ravage Rose (a melodic gem of a heavy rock outfit if there ever was one!) has a real infectious vibe going for it and I for one am not ashamed to admit that this track had me grinning from ear to ear! Available on iTunes, "Cool Is Everything" is the sound of a modern day heavy rock/pop metal with talent and charisma to spare!